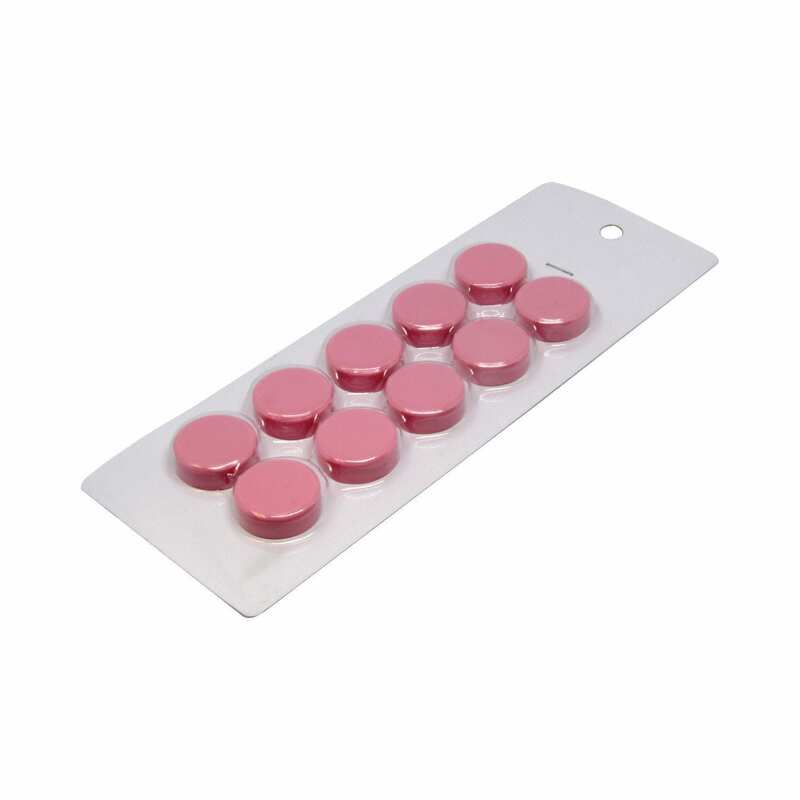 Our small pink magnetic discs have a diameter of 20mm and a thickness of 7.5mm. Embedded inside the pink disc-shaped plastic is a Ceramic magnet. On a whiteboard, a single disc magnet can hold up to four sheets of A4 paper before releasing. 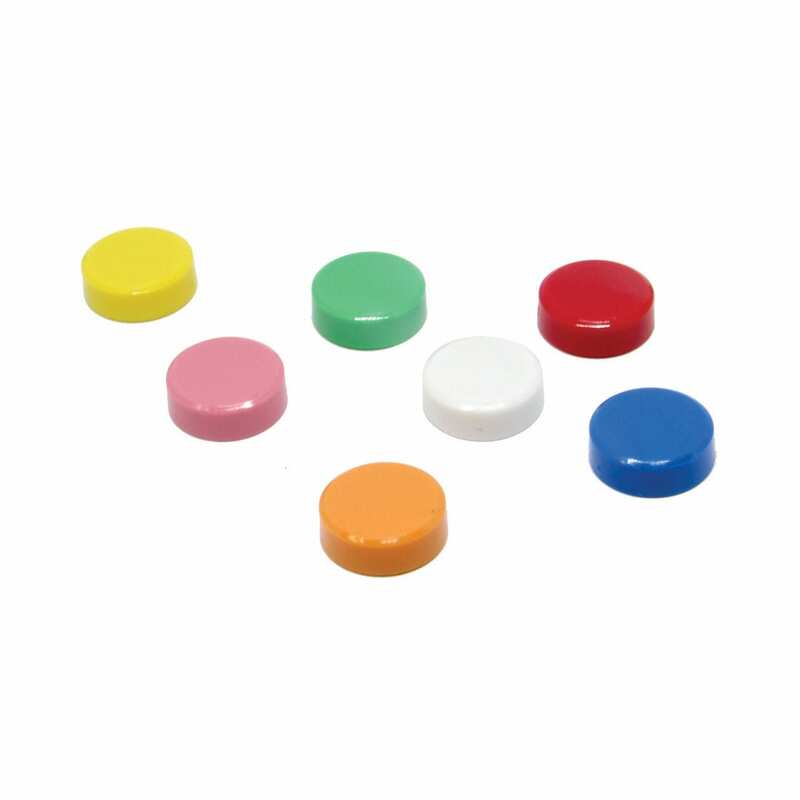 Our magnetic discs are made of a Ceramic magnet surrounded in a coloured PVC. They are a flat dome shape on the surface and are axially magnetized (through thickness). Each card of our small magnetic discs contains ten individual disc magnets of the same colour. These handy magnetic discs will make tracking tasks easier by being easy to remove and being available in a variety of colours making tracking tasks easy at a glance. 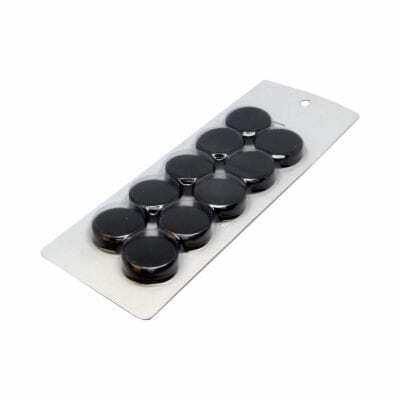 Our magnetic discs are so versatile, use them around the home or in the office to organize your workspace! Available in a wide range of colours, try them today!